The Byrne Brothers and Dad Tommy are Ireland’s biggest band on social media with over 12 Million Views on Facebook and You Tube all over the world. Their video from The All Ireland Fleadh 2016 received 3.3m views and a video from Shop Street Galway received 10.7m views in Dec 2017 and a Video from the famous Temple Bar pub Oliver St. John Gogarthy’s currently with 1.6 million views over the christmas. These incredibly talented family have returned from a hugely successful American Tour including 2 weeks at as the headline act for Raglan Road’s Mighty Irish St. Patrick’s Festival, Disney Springs, Florida and also smashed their first full Theatre Show in Stockton Performing Arts Center, Galloway, Atlantic City, New Jersey. They have been approved for the US Green Card through Extraordinary Ability in the Arts and plan to move to Florida in January 2018 to take up part-time residency Raglan Road for 6 months and then on to the Irish and Bluegrass Festival circut for the summer. They are Luca (13) Button Accordion, Finn (11) Banjo, Mandolin, Whistle and Dempsey (8) Whistle and Bodhran and their dad Tommy a highly acomplished multi-instrumentalist musician and Irish Show Director on Guitar, Uilleann Pipes, Fiddle, Whistles, Bagpipes (ex Grade 1) and Bodhran and Julie the Mammy on Bodhran, Sound and Food! Finn also qualified for the World Irish Dancing Championships in Dublin in 2017. Their Show combines explosive foot stomping Jigs & Reels with world class Irish Dancing and well known Irish Ballads. 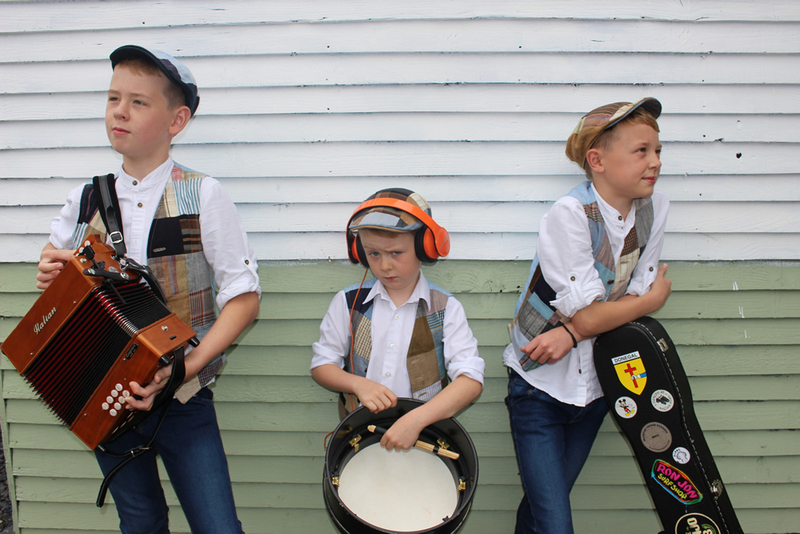 The boys will have you in stitches all night long with stories and antics and in tears before the night is out with beautiful songs like Amazing Grace into a grand finale with Bagpipes and the three brothers dancing together. They were selected from thousands of acts to take part in Ireland’s Biggest TV Show The Late Late Toy Show hosted by Ryan Tubridy. The Byrne Brothers have released their second Album with 2 tracks with flute maestro and multi-instrumentalist producer Alan Doherty (Aldoc) intitled “Family Tree” which was highly acclaimed by Irish Music Magazine. The Byrne Brothers have so much incredible talent and infectious energy with the world already watching!